In America, diabetes is a widespread illness, affecting about 29.1 million people or 10% of the population. Diabetes inhibits your ability to metabolize sugar correctly. Everything you eat is eventually metabolized to sugar and turned into energy. Patients with Type I diabetes are unable to make enough insulin, the hormone that transfers sugar to blood cells. With Type II diabetes, patients become unresponsive to insulin. Both forms of diabetes result in highs and lows in blood sugar, which can cause irreversible damage to your eyes, kidneys, nerve cells, hearts, and even your mouth. Your mouth has less saliva and constantly feels dry. A spike in cavities from decreased saliva. Your gums are often inflamed and bleed regularly. Wounds in your mouth take longer to heal. Everybody has bacteria in their mouths. However, if bacteria overtakes your gums, it can lead to gum disease. When gum disease chronically progresses, it can lead to periodontal disease. About 22% of patients with diabetes suffer from gum disorders - especially older patients. Patients with diabetes are at a higher risk for gum disease, because of poor control over their blood sugar. Like any infection, chronic gum infections can also lead to high blood sugar levels. Thus, blood sugar disorder can cause gum disorders and vice-versa. Diabetes also make it harder to fight infections, allowing bacteria to make themselves at home in your gums. Whether you have diabetes or not, you should try and get to the dentist regularly. However, if you have diabetes, you might need to go to the dentist more often than regular patients. 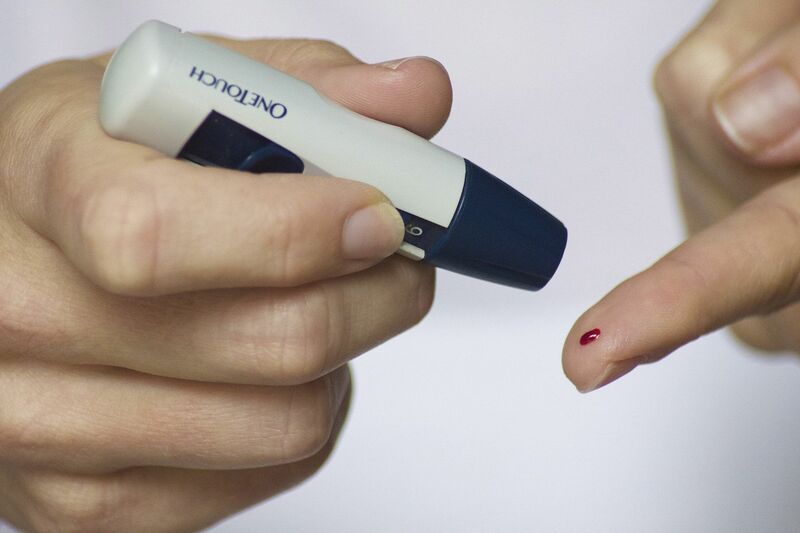 Studies show that treating gum disease in diabetes patients control their blood sugar better. Make sure you talk to your dentist about your diabetes, so you can come up with a treatment plan to stay on top of your oral health. You can also make lifestyle changes that will help you stay healthy. Staying on top of your diet and exercising can help you maintain healthy blood sugar levels, making you less prone to bacterial and fungal infections. Keeping your blood sugar regulated will also help relieve dry mouth. You should also brush and floss twice a day. For patients with diabetes, we also might recommend an antibacterial rinse. Are you struggling to regulate your diabetes or dental health disorders? Schedule an appointment with Vero Dental Spa today, and we will get you on track to a healthier life 772-778-5550.